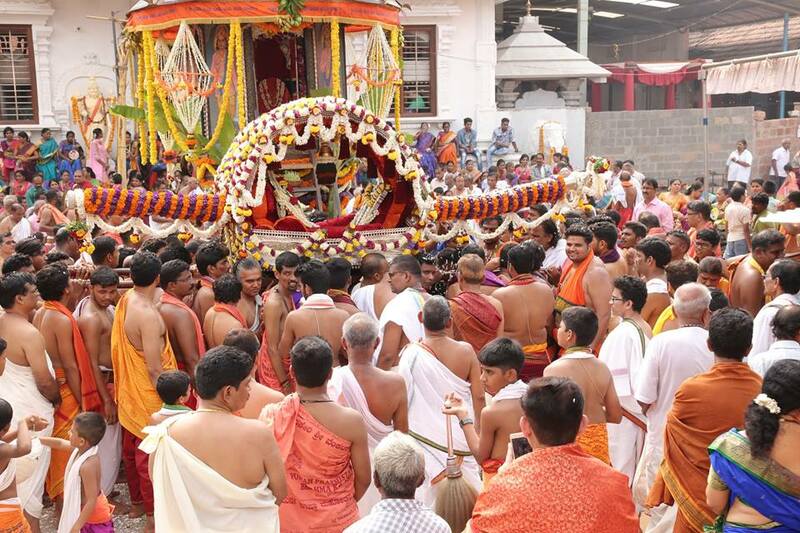 Venkateshwara is another form of Lord Vishnu who is the most popular deity among devotees. 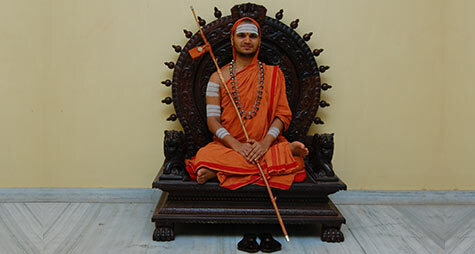 He is also known as Venkatachalapathi, Venkataramana, Srinivasa or Balaji. 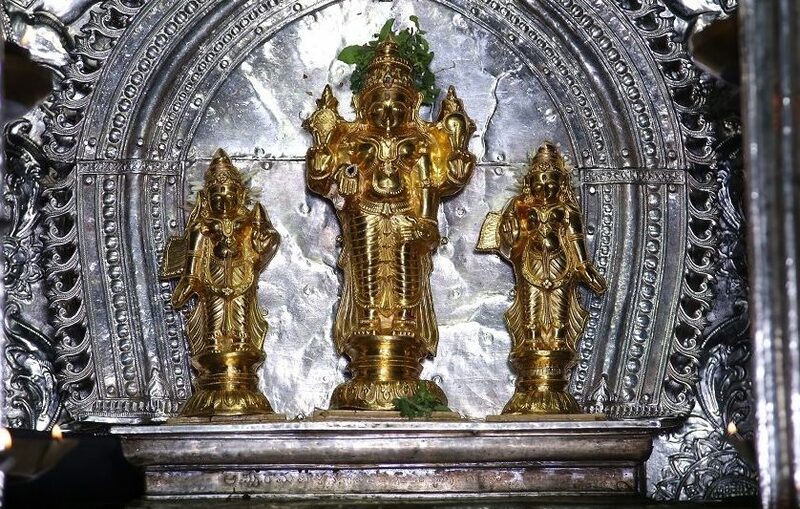 Lord Sri Venkataramana with his consorts Sridevi and Bhoodevi on each side of Venkataramana. 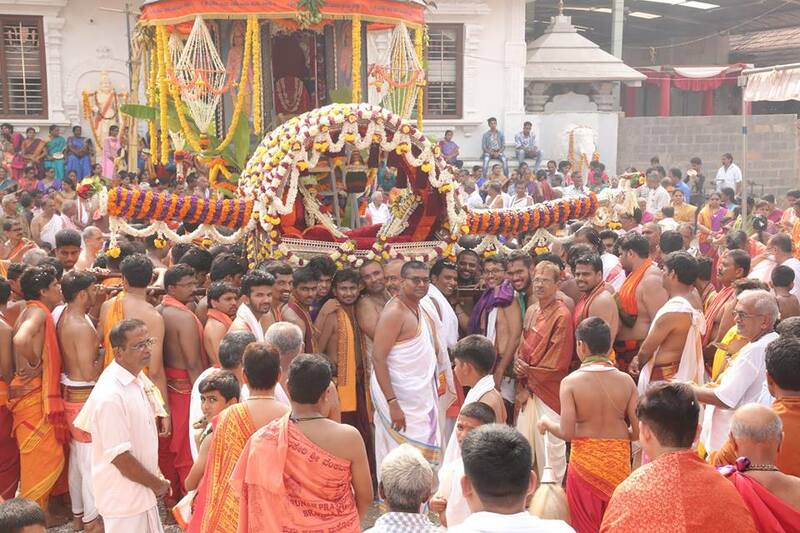 On the second step are utsava moorthis of Lord Sri Venkataramana with Sridevi and Bhoodevi. 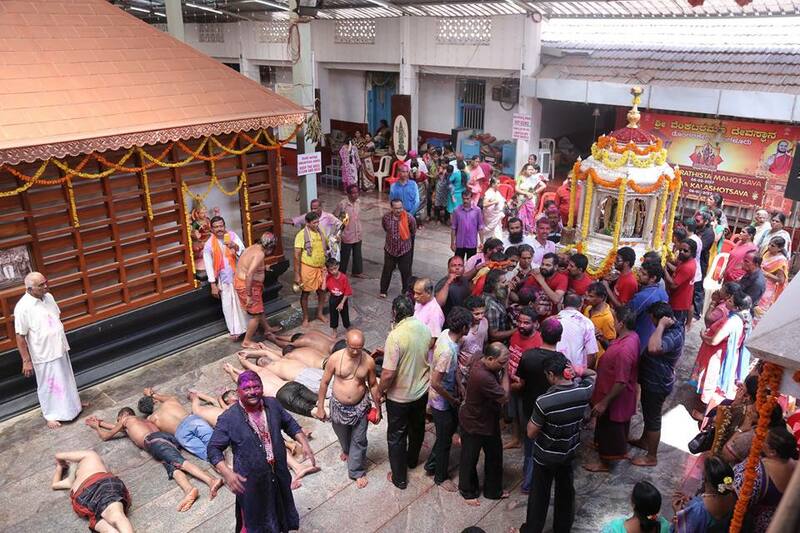 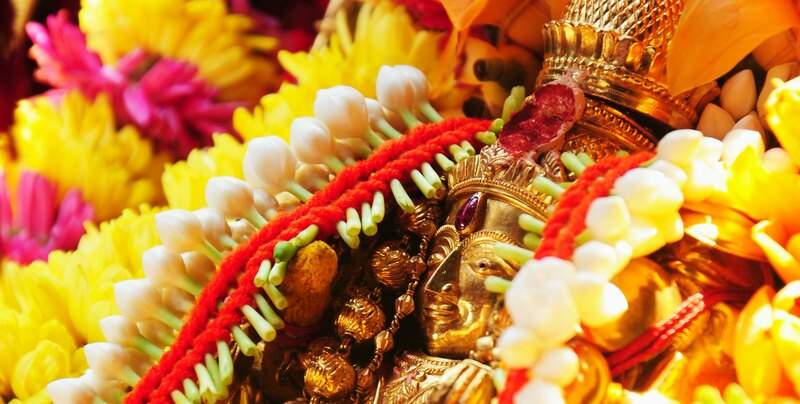 All these idols are made of Panchaloha. 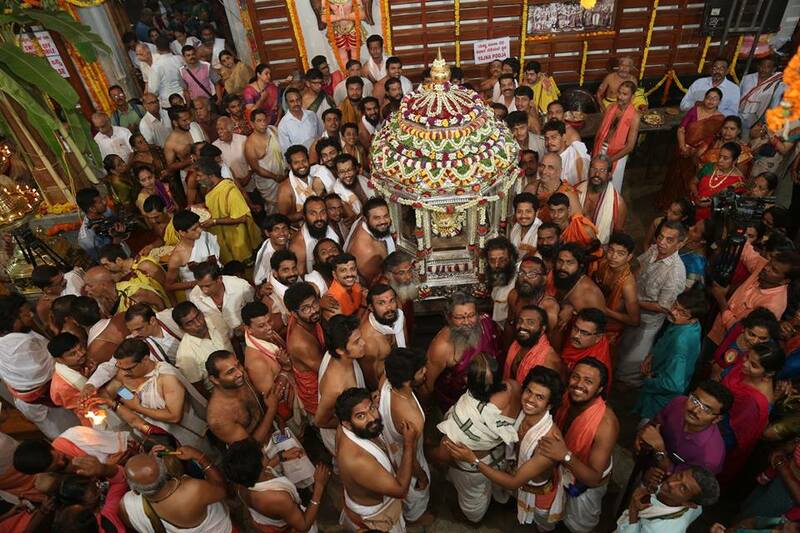 The lowest step is occupied by various Saligramas, Srichakra and Shesha. 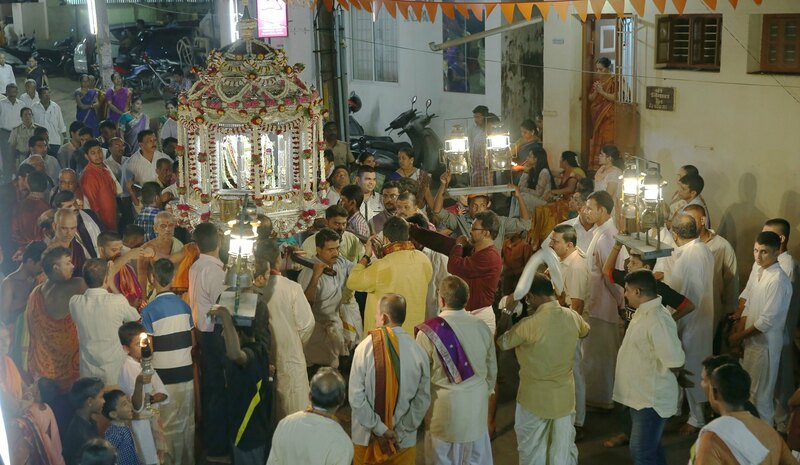 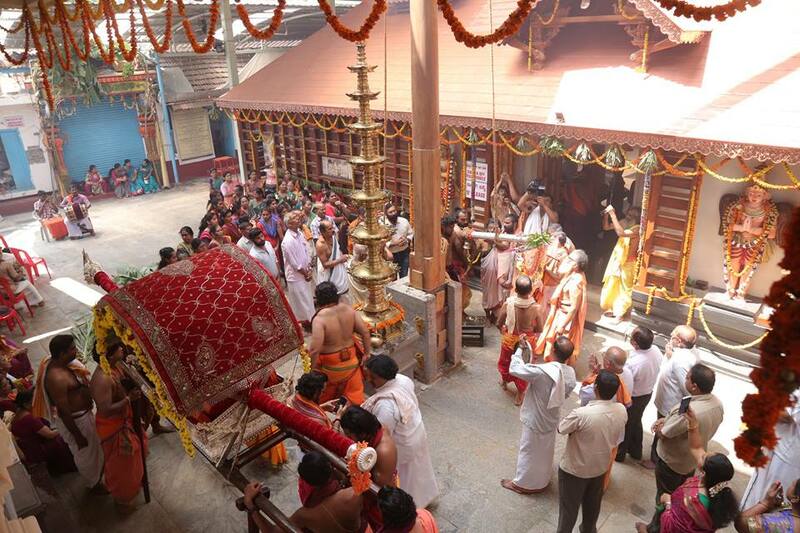 All three seats are covered and decorated with silver Prabhavali and Birudavalies (Divine Flags). 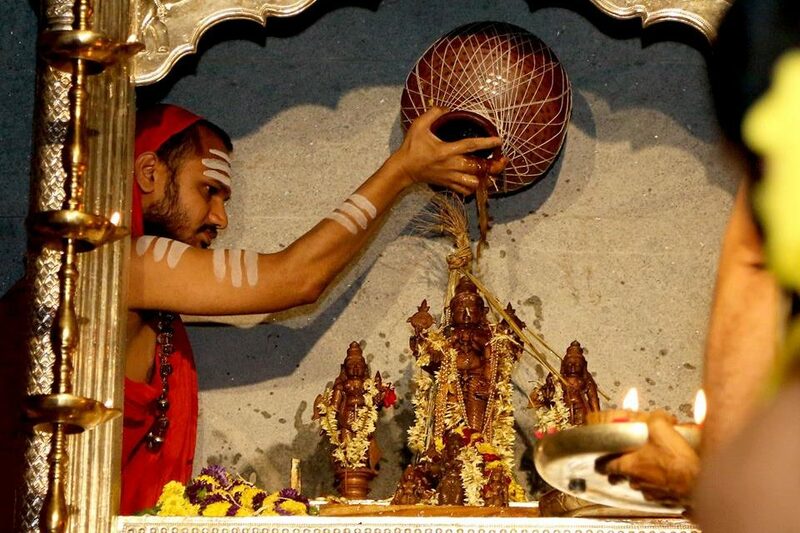 Kumar Upesh Babu of Cochin was found suitable to become our Guru as per his horoscope. 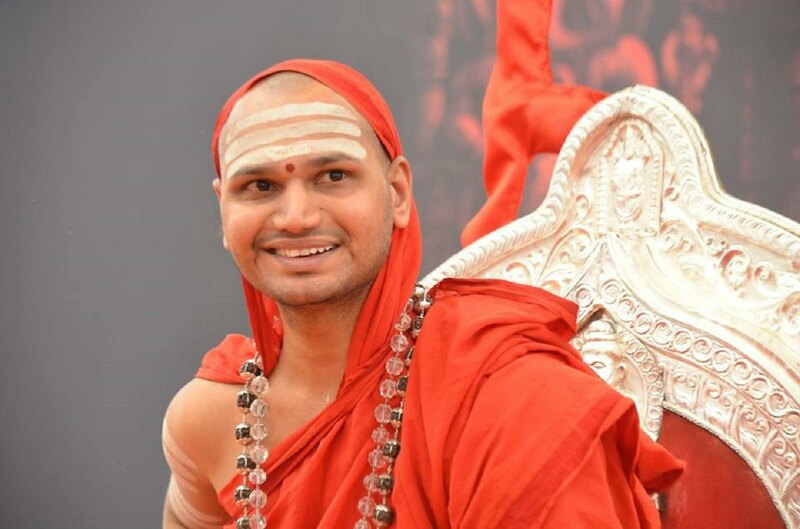 Subsequently, the Mahaswamiji of Daksinamnaya Shree Sharada Peetha His Holiness Shree Shree Shree Bharathi Theertha Mahaswamiji was requested to impart Vedic and Religious (Dharmik) education to the Vatu and His Holiness graciously consented to do the same. 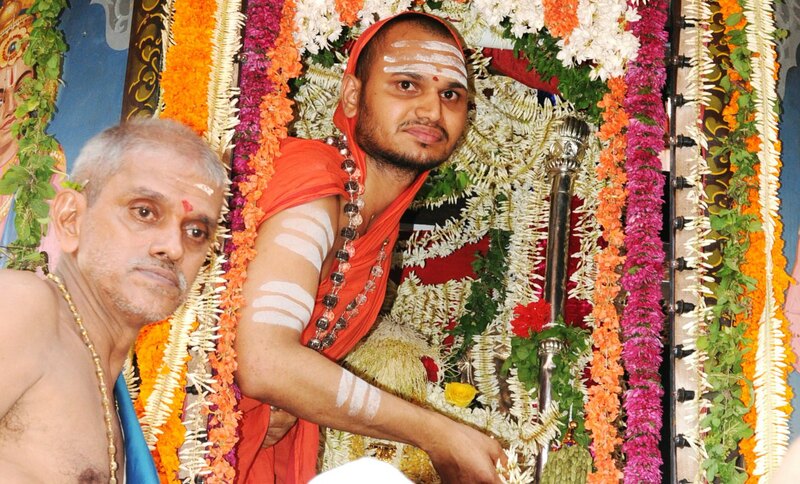 After 11 years of rigorous and continuous studies of various scriptures of Hindu Dharma with the blessings of His Holiness Shree Shree Shree Bharathi Theertha Mahaswamiji the Pattabhisheka ceremony was celebrated at Haldipur Shree Krishnashram Mutt on 12th March 2004 and our Guru was anointed with the pontifical name Shree Shree Shree Vamanashrama Swamiji.